Junta leader Voreqe Bainimarama is back from China saying Fiji can no longer rely on importing goods from Australia and New Zealand. FijiVillage is quoting Bainimarama as saying it's time to also look at the Asian market. Bainimarama met with members of the Lau Provincial Council in Deuba this afternoon. FijiVillage quotes him as saying Fiji has to move away from relying on New Zealand and Australia because talks are underway with countries like China and India. Reporter Vijay Narayan says Bainimarama revealed that increased trade ties are expected to result in a cement factory being set up in Fiji in the near future to help low income earners build affordable houses. FijiVillage reports Bainimarama as also saying the Chinese businessmen have also shown interest in entering into the Tourism Industry and other business opportunities in Fiji. Editor's Note: See Victor Lal's earlier piece (two stories down) on the dangers of the Look to China Policy. Time to decide, what sort of fiji do you want from here on in, and what are you prepared to do to secure it ! China imports the same dairy stuff from Aus & NZ that Fiji does. So stop that and you are left with cow dung you idiot. The only person who will fill his pocket from the Chinese is Vore and his side kicks. Wake up Fiji...its time to act. 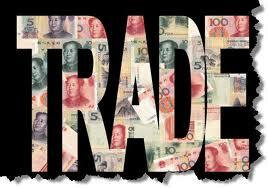 china trades only in massive volumes they not interested in our tiny tots volumes - get real! when you buy stuff from china - buyers beware. the AG needs to implement proper product labelling laws in fiji (that is harmonised to international standards) so the rubbish doesn't arrive at our doorstep and fiji can focus on producing quality products. Fijians will be able to buy all the products from China, that Americans have rejected ! After all is said and done it is evident that this look north policy is nothing less than these idiots trying to line their pockets.........bad habits are hard to avoid.......mara/ganilau etc and the new kids on the block, voreceke and asissssss the snake. Well, like they say the back home....lutu na niu e lutu toka ga e vuna......the fruit never falls far from the tree. Like dad like son.